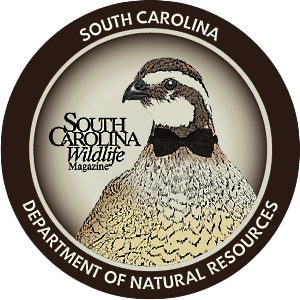 To grasp the essence of the 350,000 - acre ACE Basin Project, just take a drive down Bennett's Point Road, a unique, sixteen-mile dead-end highway running through the heart of the ACE in lower Colleton County. A couple of mornings a week, right around daylight, I turn away from the rat race of pickup trucks and eighteen-wheelers on US Highway 17, pop over the Seaboard Coast grade crossing and enter a very different and too-rapidly vanishing part of coastal South Carolina. A two-lane, almost lonely road runs southeast through pines and hardwoods, past mysterious gates that guard long dirt roads, and eventually crosses broad expanses of wetlands. Mostly straight and flat, the road finally reaches the slight elevation of Brickyard Bridge. If I time it right, a spectacular sunrise over the Ashepoo River can stop me for a moment as the salt marsh and former rice fields stretch out ahead, almost to the horizon. I know of few better places than Bennett's Point Road early in the morning. Builders of the road probably just wanted a more direct route to something passing for civilization. But they created a unique highway through history and natural history. And you get to enjoy all that twice on each trip since, once you go as far as you can, you have no choice but to turn around and go back. 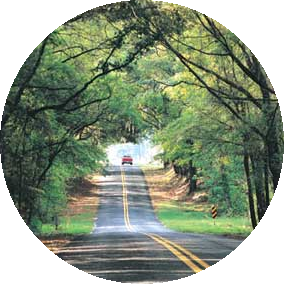 Officially known as SC Highway 26, the road runs from US Highway 17 near Green Pond to Bennett's Point. Just sixteen miles, but crossing or skirting historic properties and undeveloped woods and wetlands, the highway takes you into the heart of the now-famous ACE Basin, the land encompassed by the Ashepoo, Combahee and Edisto rivers. With its unique heritage and personality, the road, not surprisingly, has spawned a long list of interesting and colorful characters. Take, for example, Jerry Baldwin, born at the road's end in 1930 after his family moved there from Hollywood (S.C.) in 1918. 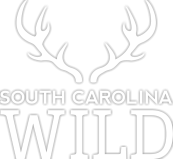 In those days a dirt track from Bennett's Point wound along the Edisto River through what is now Bear Island Wildlife Management Area, across Pon Pon Plantation and then Hope Plantation to Jacksonboro. In the early 1930s the building of the new Bennett's Point Road made for a more direct connection with a ferry crossing on the Ashepoo River where a Colonial-era brickworks once existed. According to Baldwin, in about 1940 a wooden swing-bridge replaced the ferry, and the road received pavement about 1950. A more modern, steel-supported bridge built in the late 1970s now spans the river. The new bridge bears the name of his uncle, Frank Baldwin, who spent many years in the S.C. General Assembly and eventually received the Order of the Palmetto, the state's highest civilian honor. However, despite the former prominence and political influence of Rep. Baldwin, no one calls this structure anything but Brickyard Bridge. Jerry Baldwin's father served for about four years as the first manager of Bear Island Wildlife Management Area after the state purchased the property from a private landowner in 1953. "We had one old Case tractor, one plow and leased about a hundred and fifty acres each year to a tomato grower," Baldwin recalls. He vividly remembers his boyhood, when it took as much as an hour and a half to get to Highway 17 because of the ruts, bog holes and occasional fallen trees. "My daddy had a 1937 Chevrolet. We ran in first gear the whole ways," he says with a chuckle. "We would have to get up on Sundays at four or five in the morning just to get to church on time." Baldwin, who over the years made his living as a commercial shrimper and continues as a land-management contractor, recalls when he could catch trout in front of his house on a homemade lure consisting of a clothespin painted red and white with a hook attached. He still lives at the foot of the road, hard by aptly named Mosquito Creek. Joe Hamilton, about a generation younger than Baldwin, has had a very different association with Bennett's Point Road. He grew up at a small settlement near the head of the road and still lives nearby in what he calls a bedroom community, since he and most of his neighbors have always worked in Charleston, Walterboro or Beaufort. A few years ago he visited an elderly former neighbor who then lived in a nursing home in St. George. "She said, 'I sure wish I could go back to the Billy Fields place one time before I die.' I had no idea what she was talking about," he says. But he picked her up one morning and followed her directions to what is now Donnelley Wildlife Management Area, an 8,000-acre property formerly privately owned. "That was the most impressive driving tour I have ever been on," he says. The elderly woman soon found the old Billy Fields place and showed Hamilton the little cemetery in front of the lodge on Donnelley. Billy Fields was a prominent farmer in the late 1800s and early 1900s and lived in a large, two-story house on what is now Donnelley WMA. He died in the 1920s and lies interred in the small, fenced cemetery in front of the Donnelley lodge. Along the way she told him the whole complex story of local resident Billy Fields, the church that decades ago occupied the site of the lodge, and all about the long-vanished community that once existed just a few miles from the road Hamilton thought he knew so well. He learned that the congregation managed to move the church, or at least the frame of the building, to its present location about a quarter of a mile south of the back gate to Donnelley. Now fronting Bennett's Point Road, Ebenezer Baptist Church wears a neat coat of red brick. Hamilton remembers walking to the church on Sunday mornings as a boy. He calls the road where he grew up, and then came back to, "one of the few places on Earth where you can feel safe." He rarely locks his doors. The road runs past the entrances to plantations such as Poco Sabo, Lavington, Airy Hall, Mary's Island (now Donnelley WMA), Ashepoo and Bear Island WMA. While all these properties, now protected from commercial development through conservation easements or government ownership, consist of thousands of acres, drivers see only the gates with little hint of the houses and barns well down the long dirt access roads. The late Gaylord Donnelley, owner of Ashepoo, first proposed the ACE Basin project, which has grown to national recognition for its success in protecting significant areas from commercial development and its pioneering blend of government agencies, conservation groups and private landowners to achieve a common goal. Traffic on the road, while never heavy, consists mostly of pickup trucks, some with one or more retrievers peering over the sides of the bed, others pulling fishing boats or equipment trailers. Expect to encounter the occasional log truck or backhoe hauled on a trailer. If you pay attention, on any trip down the road you might see a doe and her fawn skipping nimbly across the pavement, a fox squirrel sitting on a fence post, or a grey fox melting magically through the mesh of a sheep-wire fence. Alligators and turtles also regularly cross the road, along with raccoons, opossums and even increasingly common armadillos. During spring and fall migration, where the road crosses open marshy areas, swallows of all types - rough-winged, tree, barn, bank, cliff - often sit shoulder to shoulder by the hundreds on the adjacent power line. At any season look for flocks of a dozen or more wild turkeys searching for insects and seeds along the grassy borders of the road. A constantly changing palette of wildflowers blooms profusely along the road's edge. Wild azaleas and orange milkwort in the spring gradually morph into buttery-blossomed evening primrose and dotted horse mint in the fall. Wetlands along the road attract wading birds, shorebirds and, of course, waterfowl in the fall and winter. 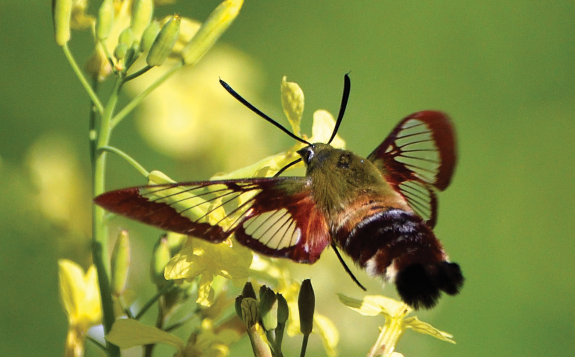 Anywhere you stop, or even slow down, you can observe an abundance of interesting flora and fauna. The road ends at Bennett's Point, a small, eclectic community with a few modern houses, a number of weekend retreats - hardly more than fish camps, a boat landing and B&B Seafood. Owned by brothers Richard and Tadpole Baldwin, this establishment, the very epitome of Bennett's Point, handles commercial seafood, sells ice and cold drinks, and has for years functioned as a local hangout. "The Point" also boasts a volunteer fire station and the recently completed headquarters building of the ACE Basin National Estuarine Research Reserve. The fact that this sixteen-mile road simply ends, or "goes nowhere," depending on your perspective on Bennett's Point, makes it even more interesting. Most of the people who live along the road and at its end do so by choice. The nearest grocery store, doctor's office, pharmacy or clothing store requires a seventy-five-mile round trip. History and natural history make the long trip (daily for some) worthwhile. And although the population is sparse and scattered across thousands of acres, residents all seem to know each other, as well as everyone's current projects or problems. Equipment trailers, backhoes, grain drills, disk harrows, any and all types of equipment and tools get loaned back and forth almost daily. Residents of The Point enjoy the modern conveniences their parents and grandparents never had, but they also enjoy living in an increasingly unusual setting on the South Carolina coast: at the end of a road that goes nowhere. 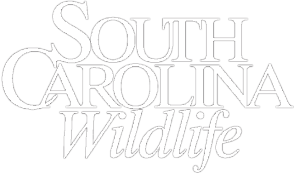 A frequent contributor to South Carolina Wildlife, Pete Laurie lives on Johns Island.